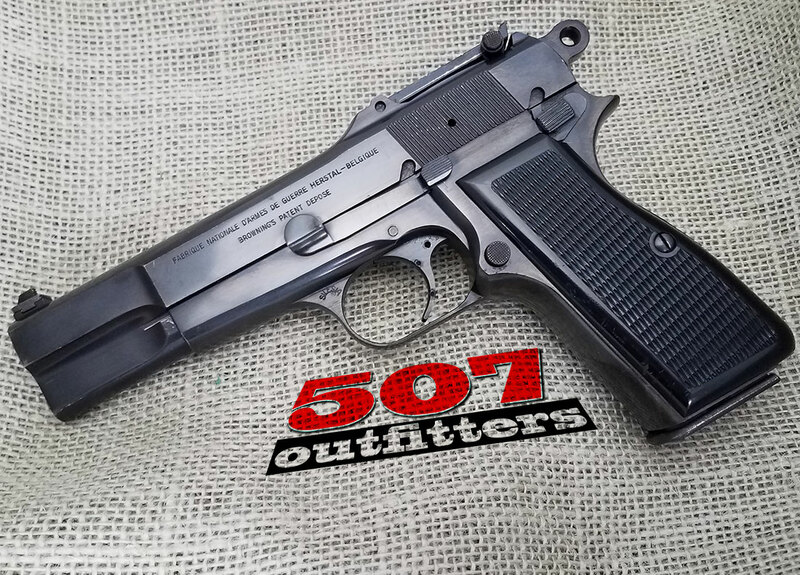 Very Good Condition FN Hi-Power chambered in 9mm. Pistol has tangent rear sight and was made in 1968. Available at 507 Outfitters in Easton, PA. We also carry other FN firearms. Contact us for pricing and availability at contact@507outfitters.com or call us at 610-438-4780.